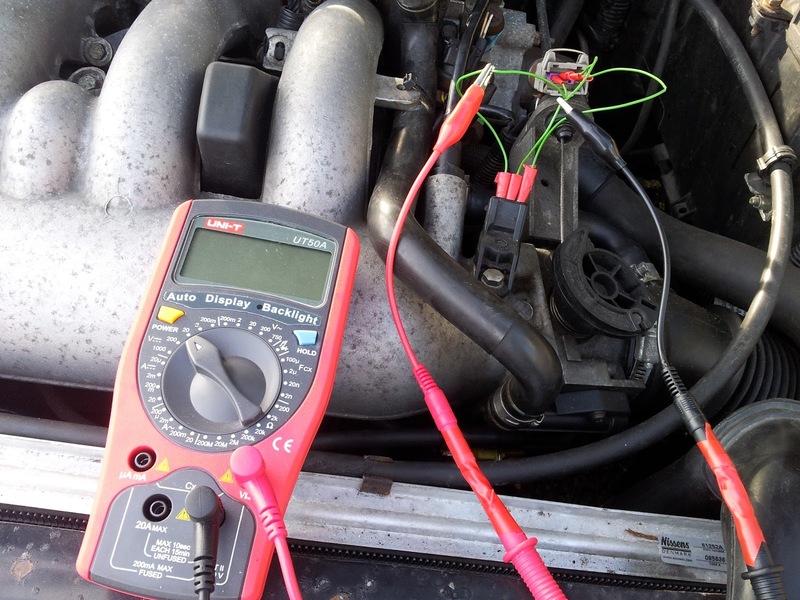 The MAP sensor is an important part of a vehicles engine management system, in this article we will go through what the MAP sensor does, symptoms of a faulty MAP sensor and how to test the MAP sensor using a multimeter at home. The MAP (Manifold Absolute Pressure) sensor converts the pressure in the manifold to an electrical signal which is sent to the ECU so it can determine how much load the engine is under at any given time. Using this information the ECU can adjust fuel delivery and timing control. Inside the MAP sensor there is a silicon chip which has a current running through it, as the pressure inside the manifold changes this forces the silicon chip to change shape which alters its resistance, this resistance change alters the signal voltage which is sent to the ECU. 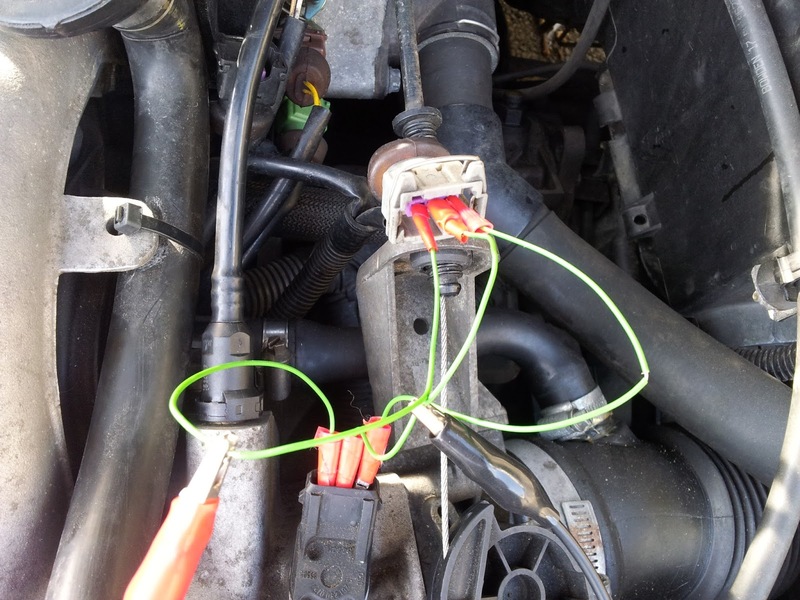 The symptoms of a faulty MAP sensor can be very similar to a faulty TPS (throttle position sensor) click here to read our post on how to test a TPS. This part of the guide is specific to the Peugeot 306 GTi-6 (XU10J4RS engine) but the principles are the same on other MAP sensors. 1) With ignition switched off disconnect MAP sensor multi-plug. 2) Switch ignition on (do not start engine) and check voltage between terminal 3 and earth. For an earth you should be able to use the negative terminal of the battery or a clean part of the gearbox. 3) Voltage should be approx 5v. To check MAP sensor operation you need to check the signal voltage when the MAP sensor is connected and the engine is running, this is slightly difficult because as you will see the sensor is well sealed and access to the terminals is not possible via the back of the plug you can do on Ford and other vehicles. One solution is to make three wires each with male/female connections to bridge the terminals when the sensor is "unplugged". By removing a small section of the casing you can attach crocodile clips to get a live voltage reading for your multimeter. You should connect all this up with the ignition off. Now turn on your multimeter and set it to volts (DC), connect it to terminals 1 & 2 and start the engine. The voltage should fluctuate between 0.1 and 5v depending on the engine load. To test this sharply open the throttle and watch for the voltage change, under high vacuum (e.g. if you quickly open the throttle fully) the voltage value should quickly change to 4.5+v and then settle back down when the throttle is closed again. Here you can see the MAP sensor in a Peugeot GTI-6 being tested using the above method. Thanks for reading and as always, comments and criticism welcome in the comments below (no registration required).